I've completed my training for Sunday's race and now my challenge is holding back on activity until that event. I considered running this morning because I'm not convinced that two day's rest provides any measurable advantage over just resting the day before. Still, I decided to stick with the taper plan. I've spent the last two weeks focusing on low intensity running and I don't think I've broken 9:10 on any run since mid-October. What I have done since September's Cow Harbor race is increase my base and I'm hoping that will make a difference this weekend. 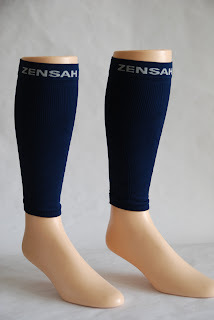 Yesterday I returned to City Sports and bought a pair of Zensah calf/shin sleeves. 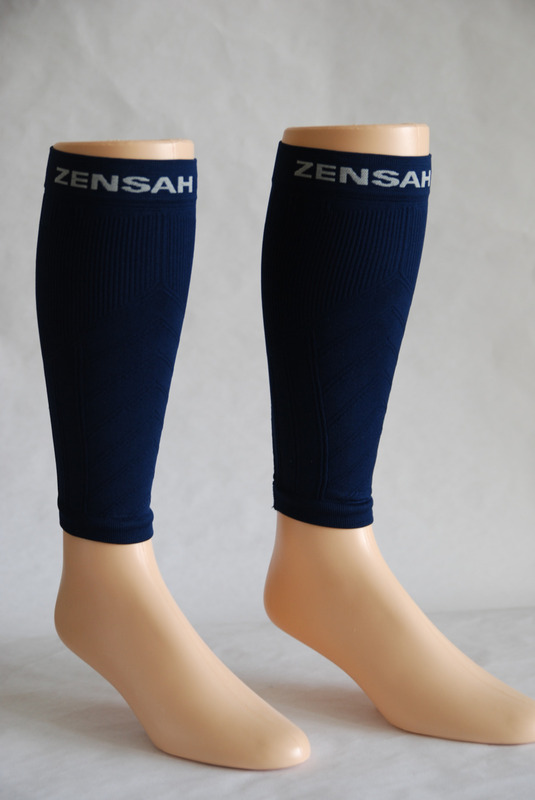 This compression stuff isn't cheap but compared with other brands like Zoot and CEP, the Zensah gear was more affordable. But $40 for stretchy leg warmers isn't exactly what I'd call a bargain. These compression sleeves, made with spandex and nylon, are far more than that and I wore them for about five hours yesterday. I made my decision to buy the Zensah sleeves after talking to the sales person who was surprisingly knowledgeable about these products and their benefits, although she kept pronouncing lactic acid as "lasic acid." I was tempted to buy full compression socks because the foot wrap apparently helps flush lactic (or lasic) acid from the tendons in the foot. The cost just seemed too high and I tend to like the socks that I already own. Last night, after I'd taken off the calf sleeves, my legs felt restless, or energetic, depending on how you look at it. I plan to wear these sleeves under my Nike compression pants during the race. I know the unwritten rule is never to race with gear that you haven't previously used but I'm willing to take the chance. Restless or energetic legs are far better than the alternative.